As I told you guys yesterday I’m going to a photoshoot on friday with this photographer – we’re going for a sort of trashy meets high fashion look in black and white and with loads of spikes and edgy clothes and we’re gonna be shooting outside with a male model too! I’m super excited cause he’s a very talented photographer and I’m sure it’ll be a lot of fun. 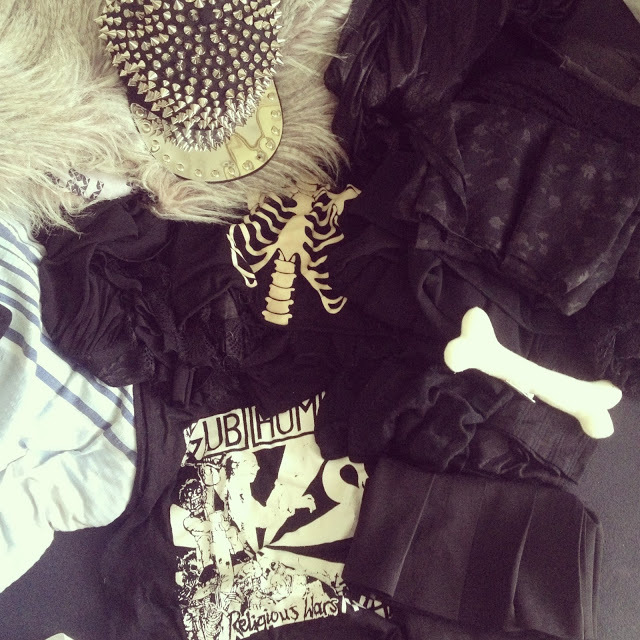 This is some of the clothes I’m bringing along with rainbow extensions, jewelry and Jeffrey Cambell boots. Oh ps. 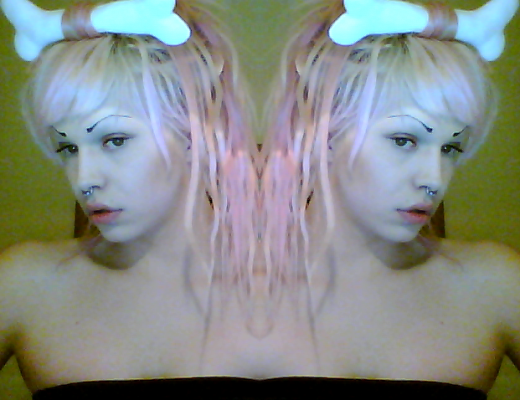 There will be no outfit pictures today, I look like I never got out of bed hahaha. Ouuu, i hope you have plans of showing the results of the photoshoot 😀 looking forward to it!